Citygate Associates, LLC is pleased to announce the appointment of Rich Carson as both a Senior Associate and the General Manager of Citygate’s new Pacific Northwest office based in the Portland-Vancouver metropolitan area. Joining Rich is new Senior Associate Geoff Davey. Over the 18 years of Citygate’s existence, the firm has worked with local and state government agencies nationwide, while headquartered in Folsom (Sacramento), California. With Rich’s and Geoff’s expertise and assistance, the company will provide a higher level of service and understanding of local regulations from a Pacific Northwest perspective and will better serve the city, county and state agencies who aspire to improvement-driven government. Citygate Associates’ mission is to provide professional consultant services to improve government agency efficiency and effectiveness. Citygate provides services in the areas of general management, strategic planning, organizational development, as well as specific assistance in community development, animal control, fire protection and emergency medical services, and leadership development training for public officials. Rich Carson recently retired from public service after 30 years of working in city, county, regional and state government in Oregon and Washington. For nine years he was the Director of Clark County’s Community Development Department and managed 160 staff, a $15 million annual budget and was responsible for reviewing $600 million in new construction. Rich oversaw current and long-range planning, engineering, building inspection, code enforcement, animal control and the fire marshal’s office. Rich was also Community Development Director for the city of Oregon City and before that was the Director of Planning and Development for METRO in Portland, Oregon. In that job he was responsible for regional planning for an area that included three (3) counties, 24 cities and 1.5 million people. This included land use planning, as well as planning for open space, solid waste management and emergency preparedness for the region. Prior to that, Rich was the Planning Manager for the Oregon Economic Development Department and worked for two Governors. While there, he worked to change state and local regulatory requirements. Rich was also the Planning Manager for one of the top three architectural/engineering firms (Daniel, Mann, Johnson & Mendenhall) in Portland, Oregon. In this job he managed projects in Oregon, Washington, Alaska, and California. 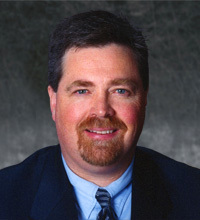 Rich holds a Bachelor of Science in Geography from Portland State University and a Master of Public Administration from Lewis and Clark College. Geoff recently retired after serving 33 years in county government. Most recently, he was the CFO/COO of the County of Sacramento, where he oversaw development of an annual budget exceeding $3 billion, and county operations carried out by over 12,000 employees. Sacramento County has historically had the majority of the population in the county live in the “unincorporated areas” of the County rather than in the cities within the County. Since 1997, three new cities have been formed in the County. Geoff negotiated the “revenue neutrality” agreements with each of those new cities. The County still has the largest population and law enforcement and public works departments of any municipality within the County. Previously, Geoff served as Sacramento County’s Principal Administrative Analyst for Law and Justice, and the Director of the Office of Revenue Reimbursements, the County’s internal collection agency for court-ordered fines, restitution and criminal justice-related fees. 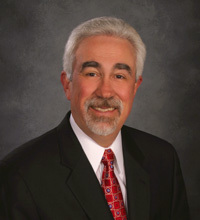 He has served on numerous legislative and other statewide task forces for the California State Association of Counties. He led the issuance of over $6 billion in municipal bonds, notably the first Tobacco Litigation Securitization securities in California, three Pension Obligation Bond issues, and numerous Tax Revenue Anticipation Notes (TRANs) and Certificates of Participation (COPs). Geoff holds a bachelor’s degree in Economics from the California State University Sacramento. Geoff retired and moved to the Pacific Northwest last fall. If you would like to discuss the idea of reinventing or creating an improvement-driven local or state government agency, please contact Rich Carson by phone at (360) 635-8161 or via email at rcarson@www.citygateassociates.com or contact Geoff Davey at (916) 830-0722 or via email at gbdavey@www.citygateassociates.com.